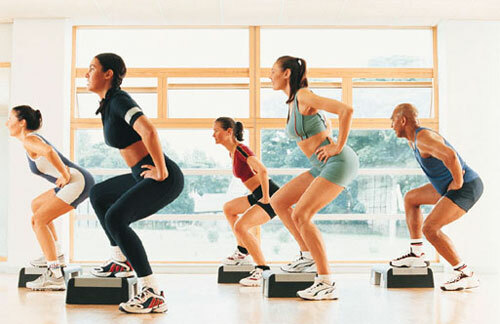 Group exercise activities are about more than the high energy, positive encouragement and loud music that can be seen and heard inside a fitness studio. These small-blocks of time each week offer more than just physical payouts. For one, you will never be bored and can take a variety of classes ranging from kickboxing, yoga, pilates or cycling. Working out solo can be a drag, so we’ve compiled some reasons why group activities are advantageous. Being part of a group activity pushes you beyond your own limitations. When working out alone you may stop when it becomes to intense, but in a class environment, the instructor as well as other participants motivate and challenge you to push beyond your own comfort zone. One main benefit of working out as a team instead of alone, is that you can talk to your group mates about challenges you are facing in regards to your workout regime and chances are they will either feel the same way or have some great advice to offer you and help boost your confidence level. Using a fitness class or group activity as your main source of exercise helps work out multiple areas of your body at once. Instead of just focusing on one area of the body, fitness classes tend to equally focus on all parts of your body that are crucial to an overall healthy body. Also a group setting may force you to workout areas of your body you would not normally do or even areas that you despise working out. A group setting holds you accountable to your workout plan. When you are away for a few classes or games in a row, the instructor/coach and your peers will notice and most likely ask you why you have been away. You can’t exactly say “I’ve been sitting on the couch doing nothing” without being ashamed and realizing that you have been neglecting your workout and fitness routine.